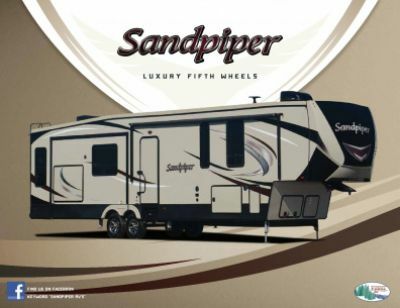 Travel anywhere in stylish comfort with the 2019 Forest River Sandpiper 384QBOK 5th Wheel! National RV Detroit is a top, full service RV dealership in Belleville, Michigan. Our dedication to providing top-notch sales and service to our customers has made us a success in this state and beyond, ever since we opened our doors in 2008. We offer all the top brand RVs at wholesale prices with great financing that can fit any budget! So stop in today and let us put you in the RV of your dreams! We're conveniently located at 44700 N I 94 Service Dr Belleville Michigan 48111 and we're ready to make your RV dream come true! Even if you don't live near Belleville or the Detroit area, we can still help you thanks to our personalized phone and internet service, and our 24/7 delivery service that covers all of North America! There's so much room in this 5th Wheel! 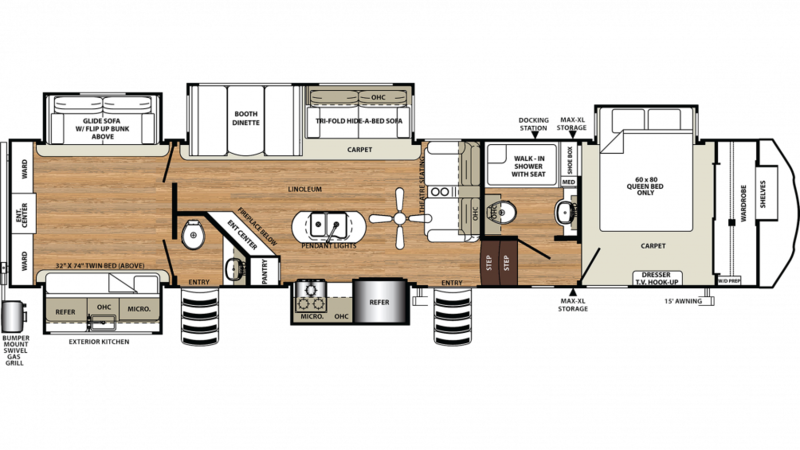 Not only is it a spacious 41' 8" long and 8' 0" wide, but the 5 slides open up to maximize your living space! That means the whole family can enjoy comfort and room to relax! When it's too hot to be outdoors, the modern 15000 BTU a/c unit will keep you cool and comfy, and on those cold nights, you'll stay toasty and warm thanks to the efficient 35000 BTU furnace! One of the nicest features is the master bedroom with its roomy and comfortable Queen bed! When the sun goes down and it's time to hit the hay, you'll have no problem easing into a great night's sleep before you know it! There are cozy sleeping accommodations for a family of 8 inside this RV! The kitchen has a full array of modern cooking appliances so you can make delicious family meals anytime you choose! The 3 burner cooktop is always handy, as is the 20.00 cu. ft. refrigerator that can store all your favorite fresh meats, veggies, cheeses, and cold beverages! You'll be able to clean, drink, and cook with plenty of water from the 60 gallon freshwater tank! If you hate that annoying trek to the cold, damp community bathroom then you'll love the full bathroom in this 5th Wheel! The roomy shower and easy to use Porcelain Foot Flush toilet provide comfort, convenience, and privacy, day or night! Plenty of hot water too, with the big 60 gallon freshwater tank and LP tank capacity of 60 lbs! Dirty water and waste are stored in the 134 gallon gray water tank and the 104 gallon black water tank, respectively. 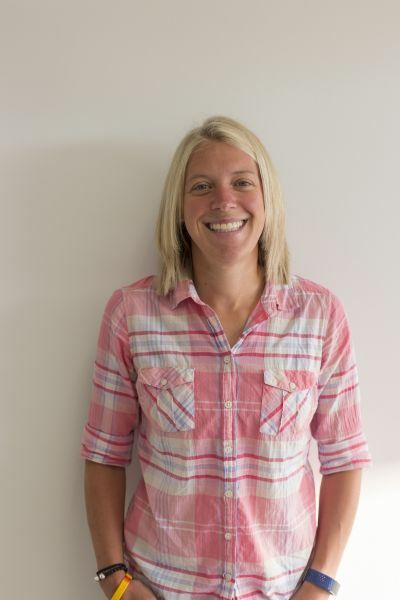 The bunkhouse is a great place for kids or guests to get some extra sleep! They'll be able to drift off in no time with the comfy Twin!